Olden Goldies: The Beach Boys Today! The Background: This album really is a great one. Released in 1965, this was a time when the Beach Boys were headed straight for the moon. No longer a simple surf band from Hawthorne, California, they were headed in a very musically splendid direction. In fact, “The Beach Boys Today! was written only about a year before Pet Sounds – their musical Mona Lisa. On this LP you can hear some of the early signs of Brian Wilson’s genius innovations (one of which Elton John references here) that were later praised so highly on Pet Sounds. It gets your feet tapping and your head bobbing. Featuring a nice island-sounding guitar solo near the end, this catchy pop song is a good way to kick off the album. The pitch perfect falsetto from Brian Wilson during the verse leads effortlessly to Mike Love’s lower baritone during the pre-chorus and chorus. Thoughtful lyrics on this one. It follows a youngster in his late teens, wondering about his future life. “What will I be when I grow up to be a man?.” Indeed a song to which all high schoolers around the globe can relate. However, the grown ups can also feel how the song gently touches upon the fleeting nature of youth. Kicking off with a bouncy, upbeat two-guitar riff, listen out for the sunny harmony and the stable bass-line that follows the music throughout. Contrasting to the previous tune, “Dance, Dance, Dance” begins with an electric guitar riff paired with acoustic background. Very poppy sounding. This is one of the most beautiful songs the Beach Boys ever wrote. The enchanting vocal harmony in the chorus will really take you somewhere if you close your eyes. It is a soothing, peaceful piece about a love that could be. A cover from a 1959 Doo-wop song of the same name, “I’m So Young” is all about being young, and “in love.” The subtle vocal harmony in the verses complements the lead vocals from Brian Wilson. The contrasting and unexpected outro turns a good song into something great. This one’s all about rekindling the flame of love. This graceful ballad sounds like something you’ve heard before, but it’s also very unique. The lyrics follow a man who doesn’t deserve the woman he has – and he knows it too. In conjunction with the more sombre mood of the song, it has no major (happy) chords. Track 11: In the back of my mind. This track features rare vocals from Dennis Wilson. His voice may not be as precise and high reaching as Brian Wilson’s, but his slightly raspy timbre puts an element of real soul into the tune and turns it into something special. The lyrics are about worrying when everything’s perfect just the way it is- something we all do that sometimes. Although unmusical, this track gives us a little glimpse of the men – the musical legends- that were known as The Beach Boys. It gives voice to the faces on the cover. 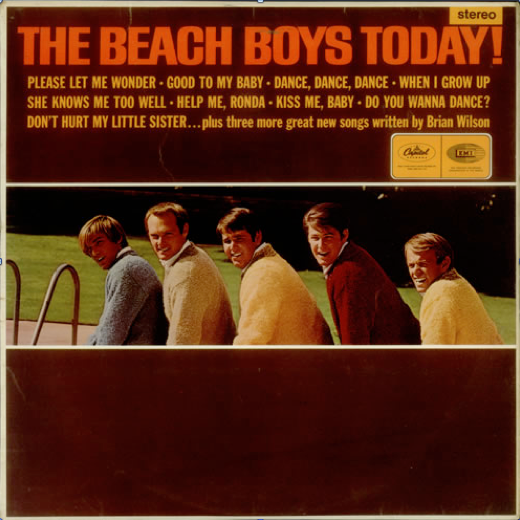 The Music: The first six tracks feature more simple, catchy, pop-oriented tracks that reminisce upon the all Beach Boys earlier work. However, from the marvellously emotional “Please Let Me Wonder” and onwards, the songs are complex, captivating, and do require one’s full attention, as full attention is needed for full appreciation of these gems. ehran, valamikor a Culinaris forgalmazta, de azt mondtÃ¡k, senki nem vitte, Ãºgyhogy mÃ¡r nincs. de eskÃ¼szÃ¶m, hogy az ec³seÃkttolÃ¡s megÃ©r egy kÃ¼lÃ¶n bÃ©csi kiruccanÃ¡st!